Lea Michele Shares Bikini Photo, Lily Allen Stops Smoking: Top 10 Celebrity Tweets of the day! Lea Michele shares a hot bikini photo, and Lily Allen stops smoking. Check out this week’s top 10 Celebrity Tweets! Lorde’s song Royals hit number one in the US on October 3. Few would have predicted it would still be sitting there on her birthday six weeks later. The song has been the biggest hit of the year from a female artist – no mean feat when established superstars Katy Perry and Miley Cyrus are both promoting their new albums. The 17-year-old singer contemplated her new age in a typically artful poston her Tumblr blog. She reminisced about last year’s celebrations, when her friends came over to “eat cake and ruffle my hair and talk about pokemon”, before taking stock of her rise from obscurity to global stardom. “this time last year i was making a soundcloud, and a twitter, and a tumblr, all in the name lorde. i had no clue what was going to happen with the music. i hoped it’d be alright. Lorde said she planned to spend her birthday walking around New York listening to Stevie Nicks and Broken Social Scene and muttering under her breath about her plans for the future. Lorde capped off her celebrations by hanging out in bed with Man Booker Prize-winning author Eleanor Catton. New York-based Kiwi Gemma Gracewood posted photos to Twitter of the two celebrated Kiwis catching up. New York Mayor Bill de Blasio got in on the festivities for Lorde’s birthday. The new elected mayor walked on stage for his victory speech as Royalsblared in the background. 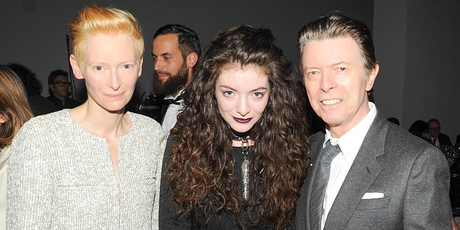 Lorde performed to a star studded audience Museum of Modern Art Film Benefit in New York as her birthday approached. Afterward she posed for a photo with none other than David Bowie and one of her idols, Tilda Swinton. Lindsay Lohan is reportedly being sued for her2012 car crash on Pacific Coast Highway in California. As Gossip Cop reported at the time, the starlet was behind the wheel of a Porsche when she rammed into a truck in front of her. Lohan later tried to claim she wasn’t driving, and was eventually charged with lying to police and reckless driving, a case in which she pleaded no contest and was sentenced to 90 days in a locked rehab facility earlier this year. Now truck driver James Johnson – who claimedthat the incident was Lohan’s fault — is suing the actress over alleged injuries sustained in the accident, plus mental anguish. 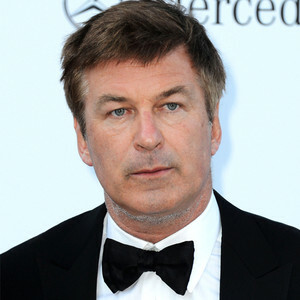 He is seeking unspecified damages, reports TMZ. A rep for Lohan did not immediately respond to a request for comment. Genevieve Sabourin, who has insisted that she had a romantic relationship with the 30 Rock star, was arrested and jailed for as-yet undisclosed reasons following a hearing this morning in New York Supreme Court, the Manhattan District Attorney’s Office confirms to E! News. “Why am I being arrested?” Sabourin was heard saying as officers cuffed her before she could leave the courtroom. During the hearing, a new attorney was appointed to Sabourin after her previous lawyer asked to be removed, telling the judge that she was behind on payments and wasn’t taking counsel’s advice about not speaking to the media about her case. While she’s barred from trying to contact Baldwin, Sabourin has tweeted about Thomas and her ongoing legal issues. Another day, another tale of Kourtney Kardashian and Scott Disick getting engaged. And, once again, the tale is fiction. A Kardashian family source confirms to E! News that the longtime couple are not engaged, contrary to the latest Star magazine cover blasting news of their betrothal. Kourtney and Scott took a family vacation to Paris last week—but their romantic moments involved things like kissing along the banks of the Seine rather than kneeling down to pop questions. Sweetest ride ever! Kourtney and Kim get the keys to Miami! The France trip was their first jaunt across the pond since welcoming Mason’s little sister, Penelope Scotland, in July. Kourtney is now back in Miami shooting—go figure—Kourtney & Kim Take Miami. “Good morning workout with@KimKardashian! She is my workout mentor. No one has drive like her,” she tweeted today. Just last week Kendall and Kylie Jenner weighed in when asked about Kourtney and Scott’s future, with Kendall saying they should tie the knot and Kylie begging to differ. Also speaking to E! a few days ago, mom Kris Jenner described her eldest daughter—who’s the subject of as many breakup rumors as she is engagement rumros—as “very happy” with Scott.